My daughter is 13 months old and loves to listen to me sing. Shocking, I know. I am not known for my singing talent, though I do love to see her face light up and how she reacts to the actions and lyrics. This ladybug song is great for summer and we sang it after catching and releasing some ladybugs in our backyard. Your kids don’t care how you sound, so sing. The goofier, the better. If I can post it here for all the world to see, you can do it in your own home. I’m a little ladybug, see my spots. I crawl around your garden and in your flower pots. I’ve got some wings that help me fly. And catch those aphids buzzing by! 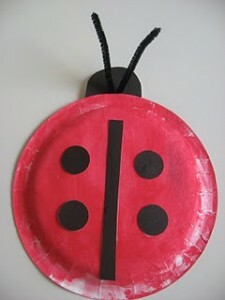 We’ve made some fun Ladybug Crafts too. Give some of these a try and sing your ladybug song as you do. 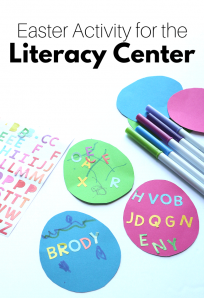 Your little ones will be sure to have a blast! 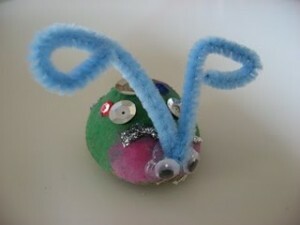 Rock Ladybugs– A great summer craft! Paper Plate Ladybug – great for little ones. 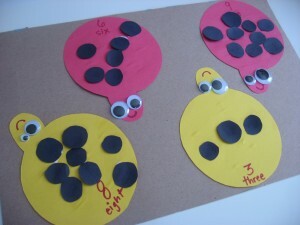 Ladybug Math – a counting craft! 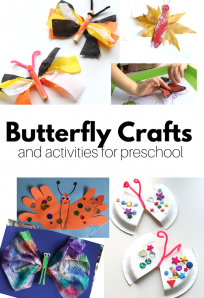 Do you have any fun ladybug crafts or a ladybug song that you love? Share them in the comments below! We love hearing what you enjoy doing with your children! My kids were much more interested in watching you sing than hearing me!!! Thanks for the great activities! So glad to see your songs again. For some reason the older videos aren’t working and my boys came running today when they heard you singing! 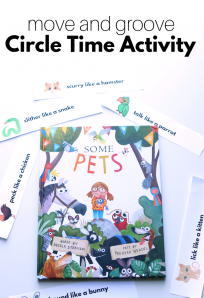 Love the little song and how you’ve incorporated such a simple observation of nature into fun art activities! I loved the song and the crafts ideas! Thanks! Thank you so much for encouraging people to sing to their children! We sing to our child all the time and find it so fun and rewarding. We can model that anyone can be musical even from the earliest years!